The Secret Life of Bees is a 2008 American drama film, adapted from the novel of the same name by Sue Monk Kidd. The film was directed by Gina Prince-Bythewood and produced by Will Smith, with his wife, Jada Pinkett Smith, as executive producer. 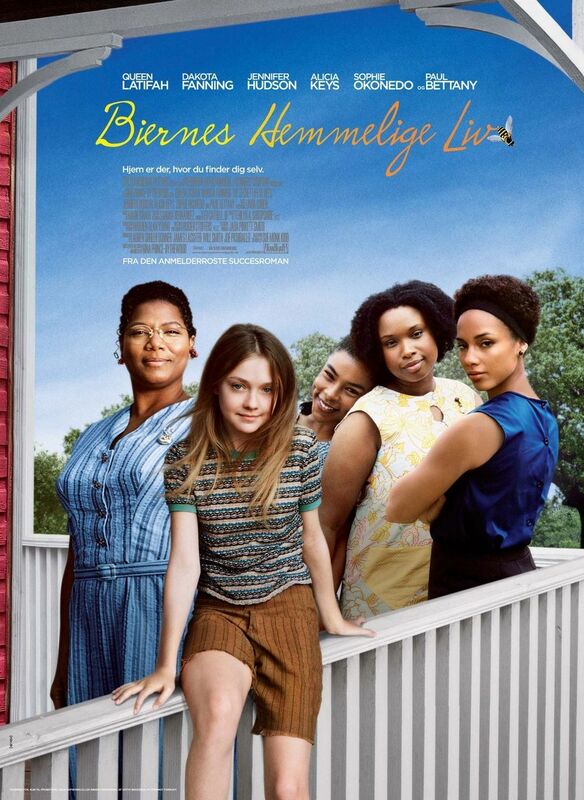 The film is noted for Queen Latifah's critically acclaimed performance as August Boatwright. The film was released in North America on October 17, 2008, and in the United Kingdom on December 5, 2008. Set in South Carolina in 1964, this is the tale of Lily Owens (Dakota Fanning), a 14-year-old girl who is haunted by the memory of her late mother Deborah Owens (Hilarie Burton). Lily flees with Rosaleen (Jennifer Hudson), her caregiver and only friend, to a town in South Carolina where she uncovers the secrets to her mother's past. Taken in by Boatwright sisters—August (Queen Latifah), May (Sophie Okonedo), and June (Alicia Keys)—Lily finds comfort in their world of bee keeping and develops a romance with her new friend Zach (Tristan Wilds). She learns about female power, as the Boatwright sisters show her their black Virgin Mary, her mother's past and much more. Aningen seg, men inget man vill missa. Riktgt bra!